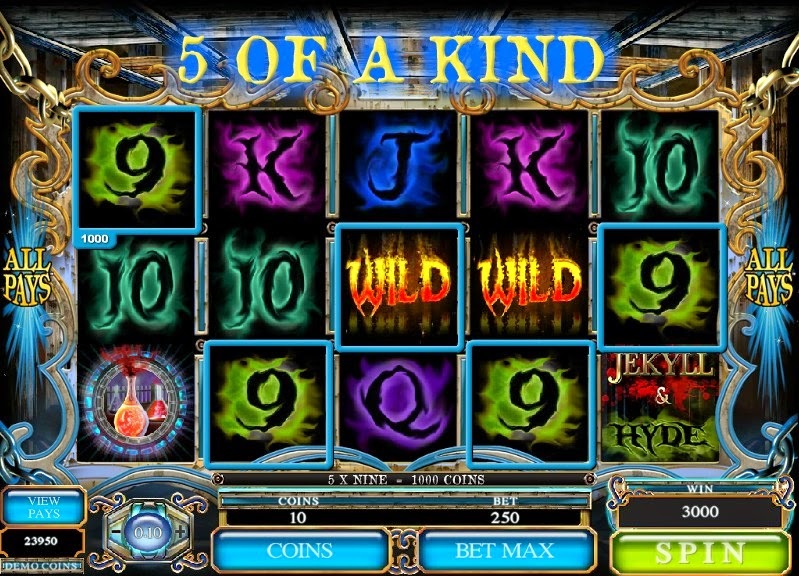 Microgaming’s Dr. Jekyll and Mr. Hyde is a five-reel 25-payline game featuring the Victorian Age style from the setting of the classic horror tale. The epic story of Jekyll and Hyde is about a doctor named Jekyll who was working on a potion that can make him stronger, little did he know that when he takes that potion, he will turn into a monster who has his own mind, Hyde. This is why it is called the story of Jekyll and Hyde. The jackpot on this slot is slightly odd, it has a modest 1500 coin jackpot during the base game, however, and the top prize is during the free spins where the jackpot is 7500. The symbols are Dr. Jekyll for the base game, and Mr. Hyde for the free spins. 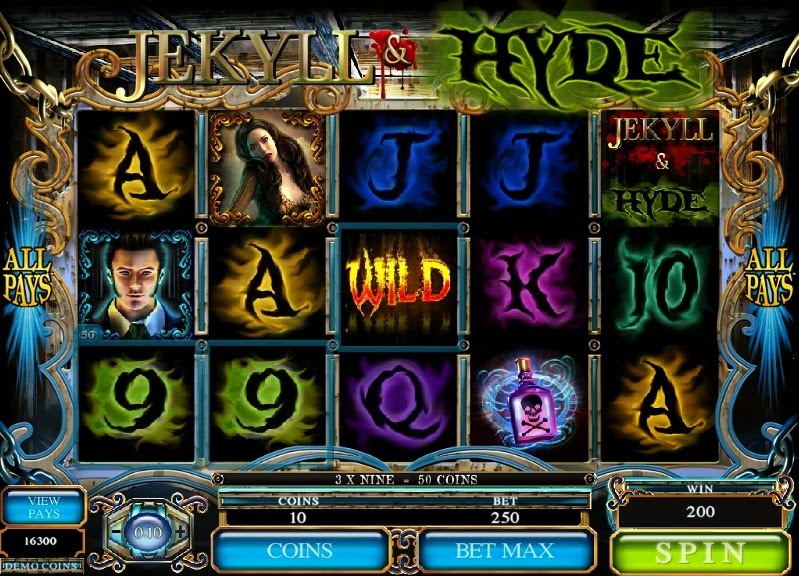 Jekyll and Hyde Logo is the Scatter symbol of this game. If you are lucky to have 3 or more Scatters on the screen, then the powers of evil activate Mr. Hyde Free Spin Feature. This feature presents you with 10 Free Spins. During these spins, all Dr. Jekyll symbols change into Mr. Hyde symbols. 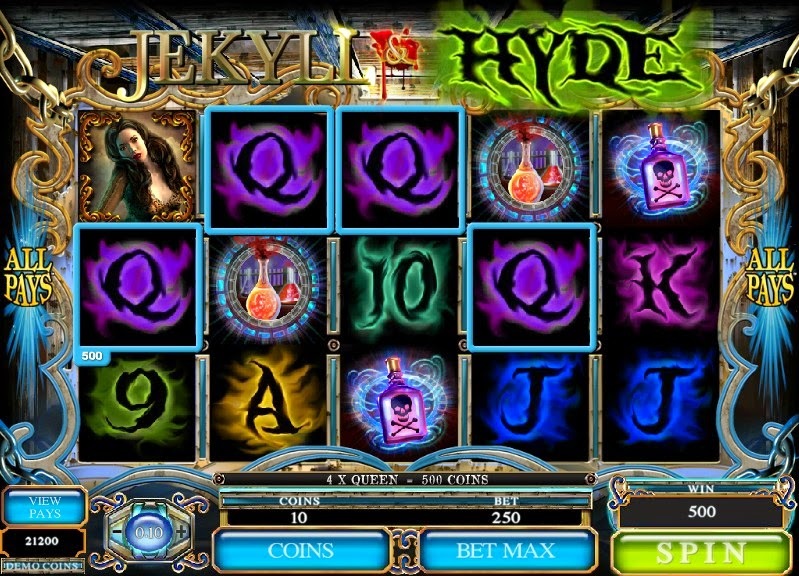 If you are not afraid yet then improve dark side of your soul with Jekyll and Hyde Slot Machine. Try not to go mad and get the chance to win the professor’s main prize. If you are ready to get into the horror and madness, then just push play and start your journey.